Our standard grading and feedback excel templates are easy to print and share with your students. You will also receive a classwide summary for each of your classes that includes your top and bottom 3 performers, class data distributions and overall strengths and areas for improvement. 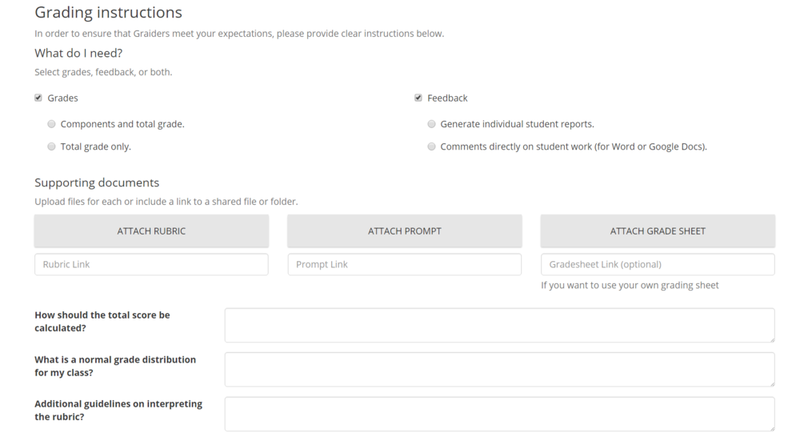 When you post an assignment, you will have the option to receive grades, feedback or both depending on the type of assignment. Our Graiders provide your students with timely, constructive feedback that is tailored to each individual student’s needs.